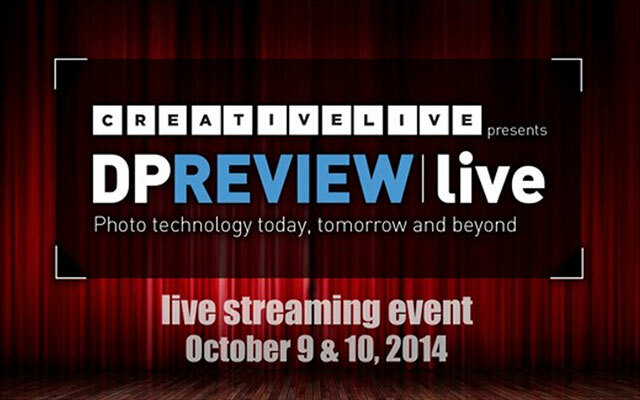 Join me this Thursday, October 9th from 10:15-11:15am PT / 1:15-2:15pm ET for my Live appearance on CreativeLive Presents: The Future of Photography with DP Review streaming from CreativeLive this Thursday & Friday October 9-10th. I’ll be talking with industry experts and my fellow pros about what current technological advancements mean to photographers with a close look at the trends, gear, and products shaping the industry in this special broadcast. The DPReview team will discuss the most popular cameras, gear, and trends that emerged in 2014 and youâ€™ll learn about the exciting, new advances you can expect in 2015. Youâ€™ll hear from editors, industry reps, and photographers as they highlight the industry developments that are most important to you.